Dr Zack Ally graduated from Brighton & Sussex Medical School and completed an intercalated Bachelor of Sciences with Upper Class Honours in Surgery and Anaesthesia at Imperial College London. His academic achievements include a medical student prize with the British Association of Plastic, Reconstructive and Aesthetic Surgeons (BAPRAS) and the International Congress of Medical Sciences (ISCOMS). He has published in the British Journal of Surgery and has written textbooks for medical students. Dr Ally is the Founder and Medical Director of Derma Medical. He is An experienced Aesthetic Doctor, National Trainer & International Speaker in the industry and balances his NHS commitments alongside his private aesthetic work. He has had experience with some of the country’s largest corporates in Harley Street, West London and the South East, including The Harley Medical Group and more recently Transform Cosmetic Surgery Group, where he regularly performs all 18 Basic and Advanced neurotoxin & Dermal Filler procedures, Sclerotherapy, Obagi prescription-based skincare treatments, Intralipotherapy body sculpting treatments and the Silhouette-soft one-stitch facelift. 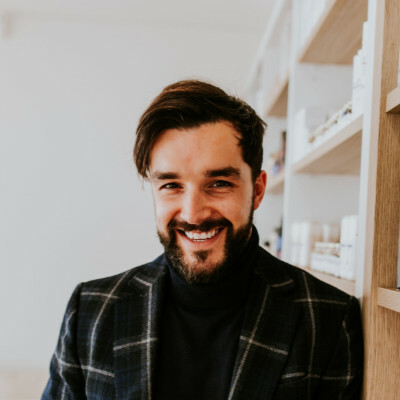 Dr Ally is also the Spokesman and Board-Advisory Medical Lead for Aesthetic manufacturers Intraline where he regularly gives media talks, presentations and open-evening live conference presentations. Having devised a landmark-based aesthetic training curriculum, Dr. Ally has formed many links in the industry with many product manufacturers and aesthetic recruitment corporates, helping delegates train safely, and find work upon completion. In 2016 Dr Ally was shortlisted as a finalist for ACW’s prestigious Entrepreneur of the Year award. 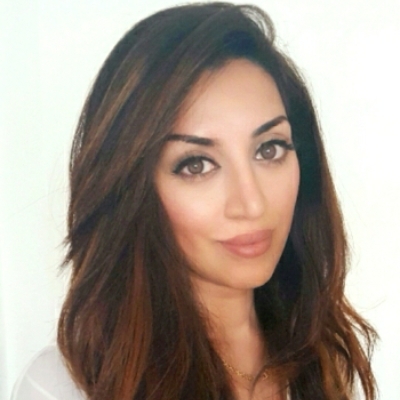 Dr Sanah Qasem is a full-time NHS Doctor and Aesthetic injector performing the latest basic and advanced neurotoxin (Anti Wrinkle Injections), Dermal filler treatments, Silhouette one stitch face lifts, chemical skin peels/rejuvenating therapies and intralipotherapy body sculpting treatments. She divides her aesthetic work between busy clinics in Harley Street and Euston in London and working for the UK’s leading Aesthetic company – Transform Medical Group. She is also a Medical Advisory board member for the aesthetic production company – Intraline. Dr Qasem graduated from medical school with distinctions and has been awarded prizes for academic and clinical excellence, as well receiving merits for Teaching and Leadership. Alongside this, she has been chosen twice as the Teaching lead for trainee doctors across trusts in South East England. 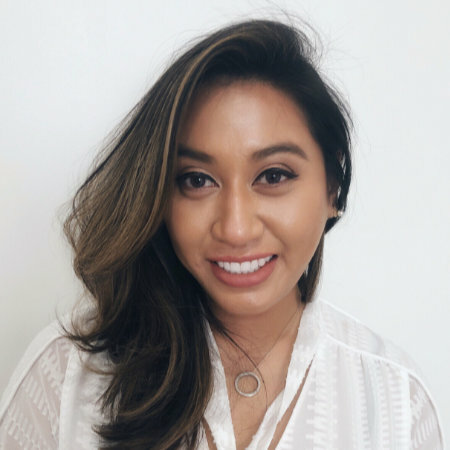 It is her experience in clinical education with her knowledge and passion for Aesthetic medicine that has led her to becoming non surgical trainer at Derma Medical. Dr Qasem is a talented injector, using her individual techniques and developing landmarks to teach the latest techniques in as many as 18 different commonly requested treatments. Her honest and quality-driven approach with her attention to detail sets her apart as a practitioner in this field. Anne Marie has a wealth of knowledge of the Aesthetic Industry. Having worked for one of the UK’s largest providers for over a decade her experience is second to none in this field. Her past positions include a wide breadth of multifunctional senior roles where she has been accountable for the formation, management and growth of the non surgical business. Responsible for overseeing the day to day non surgical function of 25 clinics, she specialises in new Clinics openings, recruitment and training of Clinic Staff, and of course extensive product knowledge. She also has a creative marketing flair which has proved invaluable in the past to promote non surgical products and treatments. 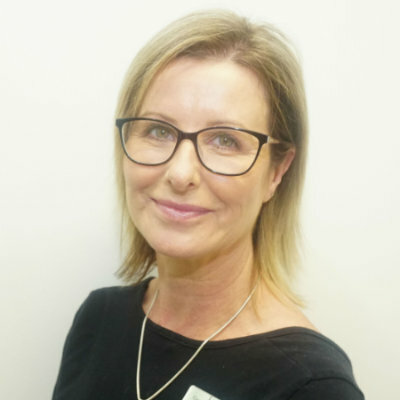 Anne Marie also managed a very successful large flagship Clinic and therefore fully understands the importance of the ‘patient journey’, including consultations, managing the patients expectations, following best practice and overseeing patient aftercare. She believes her ‘hands on’ approach’ has always been the key to her success. She has attended many conferences and training sessions both in the UK and abroad and as a result has extensive contacts within the Industry. She is happy to share her knowledge and advise and support delegates considering starting their own business or indeed applying to one of the larger corporates. Mike Sherwood oversees all enquiries and bookings from training delegates and cosmetic models. He is also responsible for all of our marketing including web-design, social media, campaign management and e-marketing. 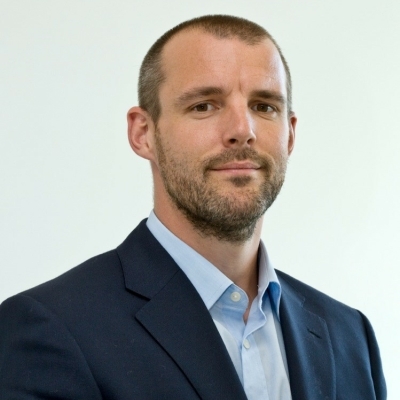 Mike has worked closely with Derma Medical since our initial launch and now has responsibility for much of the day to day running outside of the training courses. Mike has spent the last 16 years working in sales and marketing and previously ran his own technology recruitment firm for 4 years before finding his calling in online marketing. He is passionate about using technology and the Internet to promote businesses that offer fantastic products in order that they can realise their full potential. Poppy Carter helps to coordinate training days and the clinics for cosmetic models. She answers incoming email and phone enquiries and also helps to manage our social media pages and website. Poppy is always on hand to deal with enquiries. So please don’t hesitate to drop her a line with any questions. Alice handles enquiries from training delegates and books in patients and cosmetic models for our clinics and training days. She assists with answering emails, messages and phone enquiries on a daily basis. 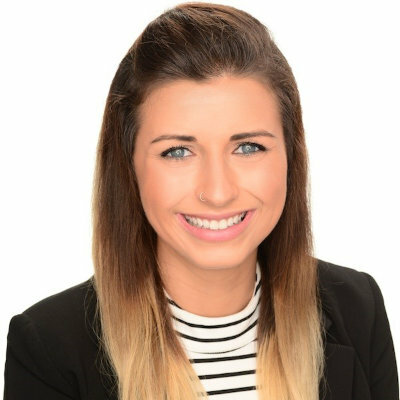 Alice previously worked as front of house for a large UK chain of health spas and takes pride in providing a great service. Emily helps to coordinate the training days for our delegates, as well as organise bookings for cosmetic models. 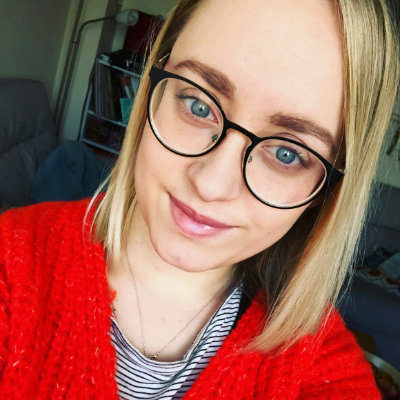 Emily has a background in digital marketing and helps to manage our social media pages as well as being on hand to answer the incoming telephone and email enquiries. Tamara is part of our administrator team, working to book clients in for the clinic, booking in models and co-ordinating delegates for training days. She deals with any incoming emails and phone enquiries. Tamara is always around and happy to deal with your queries, please don’t hesitate to contact her with any questions you may have. Natalie handles the Australian enquiries from delegates and models. She assists with answering emails, messages and phone enquiries on a daily basis. Natalie is a Nurse and has worked as a cosmetic injector. She has experience in consulting, treating and educating clients regarding aesthetic medicine and after care advice. Natalie also has a history of working in Specialist Medical administration. 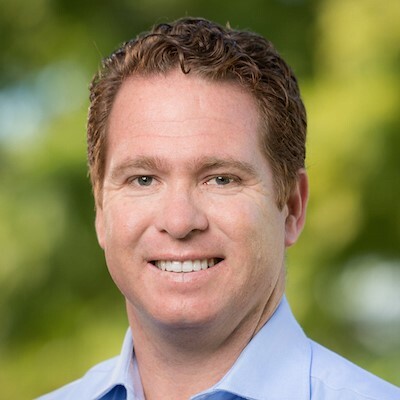 Dr Scott is an experienced trainer who has been involved in representing reputable Aesthetic providers in teaching practitioners various Foundation and Advanced clinical skills. 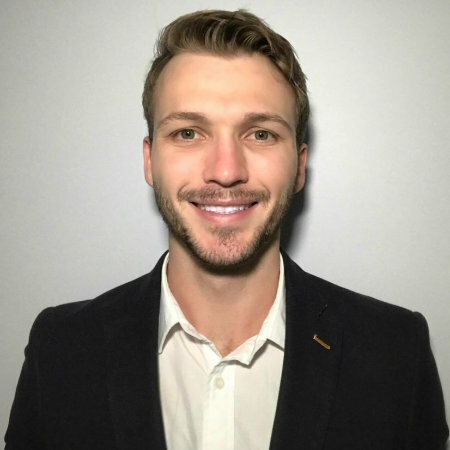 His involvement with Derma Medical is to bring increased standards of Aesthetic training to Australia enabling delegates to train in-line with UK regulated standardised landmarks. Dr. Scott completed his medical studies at the University of Queensland, successfully gaining a Bachelor of Medicine and Bachelor of Surgery. Before his studies, Dr. Scott trained and worked as a Registered Nurse, in Australia. Dr Scott is an experienced General Practitioner with a Fellowship from the Royal Australian College of General Practice. Dr Scott has previously served in the Royal Australian Navy and served in East Timor and Iraq. Dr Scott has a broad range of experiences in Cosmetic medicine, skin cancer medicine as well as experience in Emergency and Intensive care medicine. Dr Scott enjoys cycling and running and coaches junior rugby. Lauren has an impressive 25 years’ experience in the cosmetic industry. 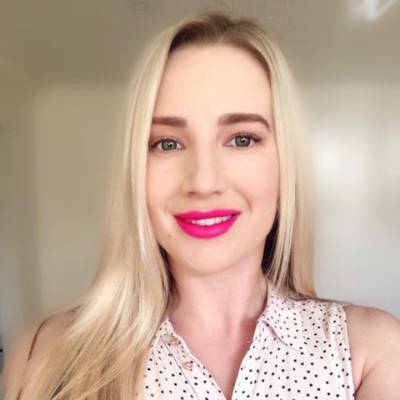 After spending several years in the aesthetic medicine industry Lauren’s passion for cosmetic medicine drove her to study a Diploma of Nursing (Enrolled/Division 2 nursing), whilst maintaining a senior role at a leading cosmetic practice in Brisbane. Lauren continues to practice from this Brisbane Clinic, where she offers tailored antiaging treatments and has a loyal following of happy patients. As an accepted affiliate member of the Australasian College of Cosmetic Surgery (ACCS), Lauren adheres to strict industry regulations that require her to provide best practice services and quality patient care. Lauren loves nothing more than putting smiles on her patients’ faces by bringing them confidence and allowing them to see their unique beauty. To satisfy her hunger to learn and grow as a cosmetic professional, Lauren regularly attends advanced training sessions and international conferences to stay abreast with the latest cosmetic techniques. 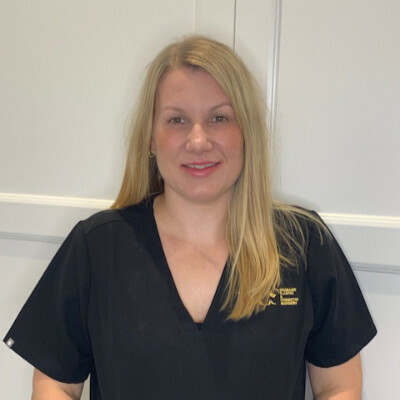 Having owned her own award-winning day spa, Lauren has developed an extensive background in training and operations, which she now uses towards training and education in the field that she loves – cosmetic medicine. Lauren’s easy-going nature makes her approachable and easy to talk to so she is always happy to answer your questions. Her warm and caring nature truly fosters a great learning environment for all delegates. 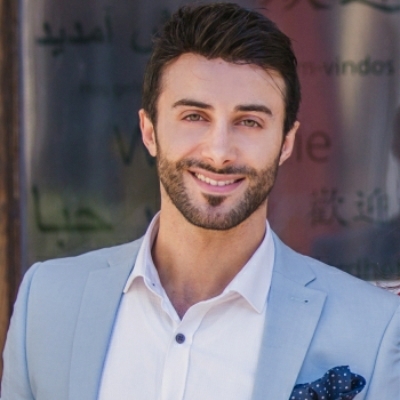 Dr Aaron Stanes is a Cosmetic Practitioner based in Melbourne. Since completing his medical degree through Monash University, Dr Aaron has trained locally and internationally in Cosmetic Medicine. He has also completed a Graduate Diploma in Surgical Anatomy at The University of Melbourne (Award – Dux Litterarum); a Master of Surgery through The University of Sydney; and has been Certified by the American Academy of Aesthetic Medicine. His main focus is on minimally invasive cosmetic procedures, including Anti-wrinkle and Dermal filler injections, Fat Dissolving injections, and Thread Lifts. Dr Aaron is first and foremost an advocate for his patients, and he strives to provide the highest standards of care in his practice. Teaching others is something Dr Aaron values. He takes a proactive approach to developing both the knowledge and practical skills of those he works with, and will always provide a supportive environment to facilitate this. Outside of work, Dr Aaron enjoys writing music and playing guitar (A self-taught skill), and refining his palate in Melbourne’s many restaurants and bars. Dr Gordon Ku is a Board Certified cosmetic physician based in Melbourne Australia. Dr Ku is a full member of the Cosmetic Physicians College of Australasia (CPCA) and a Certified Trainer in Silhouette Soft Suture Lift. He is also a regular trainer in facial anatomy along side other plastic surgeons in Paris and Dubai. Dr Aliaa Yusof is a cosmetic physician and hair transplant surgeon currently practising in Melbourne and Sydney, Australia. 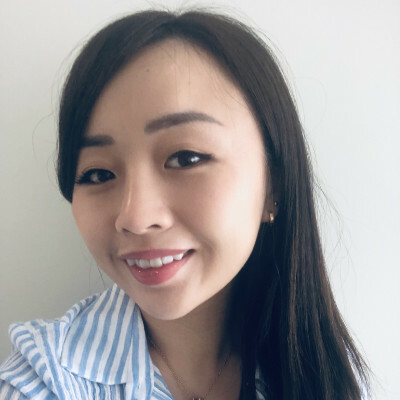 After completing her degree in Bachelor of Medicine and Surgery from the prestigious Monash University, she spent her junior medical doctor training in various surgical specialities but eventually followed her heart and passion which have led her to specialise in cosmetic medicine. It is the combination of art and science that has drawn her to cosmetic medicine, and believes that it is important to respect each individual patient’s anatomy in order to achieve natural looking results and facial harmony. She has been trained in advanced injecting techniques, and often uses a combination of various treatment platforms to achieve the best aesthetic outcome. Apart from neuromodulators and dermal fillers, she is also trained in PRP, nonsurgical lipolysis, thread face lifts, and hair restoration surgery. Dr Aliaa truly values a holistic patient oriented approach and advocates in building a trusting professional relationship with her patients. She believes that this industry is more that just making patients look good, but rather empowering their inner confidence so they can live up to their true potential in life. 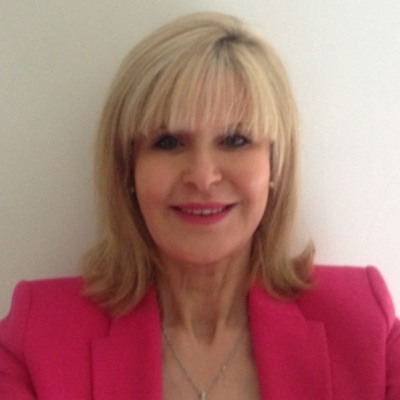 Her warm, honest and friendly nature makes it easy for delegates to connect and learn from her as a non-surgical trainer. Dr Aliaa is passionate about education and is a very supportive teacher during training courses and in clinic. Dr Nora strives for perfection in each of her clients. As a full time General Practitioner she regularly performs non-surgical treatments such as anti-wrinkle and dermal fillers. She also continues to develop her skills to offer the latest techniques including tear trough correction, jaw line enhancement, chin profiling and PRP facials. Dr Nora graduated from St George’s University of London with a Bachelor of Medicine, Bachelor of Surgery. She spent 5 years rotating in the UK’s National Health Service in London hospitals working as a SHO in breast surgery, colorectal surgery and Accident and Emergency placements. She pursued her career in general practice to become a member of the Royal College of General Practitioners. Dr Nora then moved to the beautiful Gold Coast in Australia as a cosmetic doctor and full time General Practitioner, obtaining her fellowship from the Royal Australian College of General Practitioners. She holds a diploma from the Faculty of Sexual and Reproductive Health and specialises in family planning and women’s health. She has been assessed and accredited by the Australasian College of Dermatologists to perform skin cancer checks and minor surgery, drawing on her passion for dermatology following an award from the British Association Of Dermatologists as a medical student. Dr Nora enjoys engaging with the community with an eye for training, regularly posting treatment videos and case studies on social media. She is proud to be joining the Derma Medical team and looks forward to working with future delegates. Dr Clara Hurst BDS graduated from King’s College London Medical and Dental School in 2005. Her interest in cosmetic procedures and facial aesthetics led to further formal training and study within the field of facial rejuvenation and cosmetic enhancement procedures. Dr Clara has 12 years hands on experience in anti wrinkle and facial sculpting treatments. As the advances in non surgical injectable treatments continue, she regularly attends training courses and seminars to keep abreast of the latest techniques, products, procedures and trends. She is passionate about all aspects of facial aesthetics but particularly enjoys advanced techniques in facial sculpting and providing popular celebrity inspired treatments. She often uses a combination of treatments to achieve the best aesthetic outcome. Dr Clara prides herself in achieving very natural results for her patients and believes that in most cases a conservative treatment approach is the best way to achieve her signature “untouched” and refreshed look. She has private clinics in both the UK and Australia and travels between both locations to service her loyal client base. Dr Michele Chua graduated from Bond University after completing her degree in Bachelor of Medicine and Bachelor of Surgery (MBBS). She has more recently also completed a post-graduate Diploma in Aesthetic Medicine & a Diploma in General Dermatology. 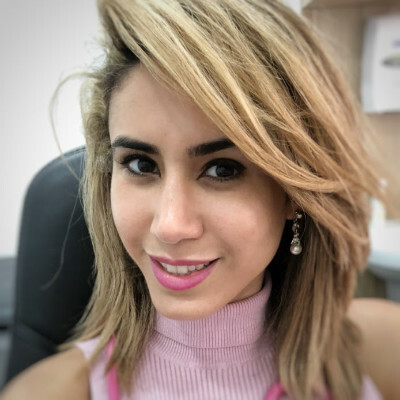 She currently works part-time as a Panel Physician in the field of Immigration Health and now works as a non-surgical trainer in Brisbane for DermaMedical. She has since amalgamated cosmetic medicine (Beau Aesthetics) within a dental practice. 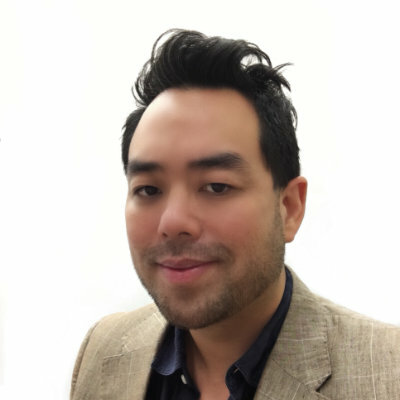 Dr Chua has a keen aesthetic eye, specialises in minimally invasive cosmetic procedures, including Anti-Wrinkle and Dermal Filler injectables, Fractional lasers, Radio-frequency skin tightening & Hyperthermic body contouring treatments. She is passionate about teaching & aims to help build confidence in practitioners new to the field of aesthetic medicine. She prides herself in helping her patients achieve natural results. Dr Maryam Ronagh graduated from medical university in 2005. She moved to Australia in 2009 and got her fellowship from the Royal Australia college of general practitioners in 2014 and started working in the cosmetic field 4 years ago. Dr Maryam currently works 4 days as a GP and skin cancer physician and 2 days in the cosmetic field. She does injectables including anti-wrinkle, dermal filler, Belkyra, PRP and different laser treatments for rejuvenation, skin tightening and pigmentation. She is a member of ACAM (Australian college of Aesthetics Medicine) and is currently doing a Diploma of cosmetic medicine from ACAM. Outside of work she enjoys painting and photography. Dr Jing Wang graduated from the University of New South Wales with a Bachelor of Medicine and Surgery (MBBS) with honours. She completed her hospital training in medicine, surgery, paediatrics, obstetrics, gynaecology and emergency medicine. 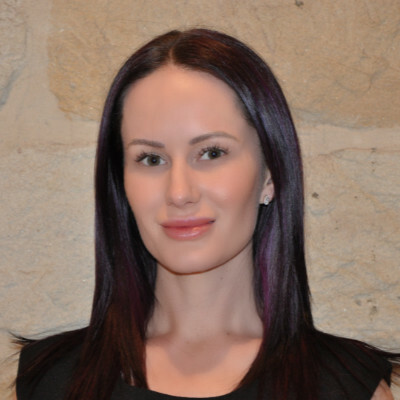 She is a dermal filler trainer, and is also a fellow with the Royal Australian College of General Practice (FRACGP). Dr Wang enjoys working in the field of aesthetic medicine. She is passionate about her work and believes that non-invasive cosmetic procedures can assist in releasing your beauty potential, enhancing your confidence and achieving your dreams. 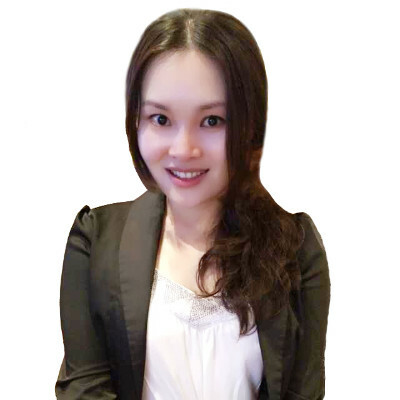 During her work as a general practitioner, Dr Wang has developed a keen passion in skin care and anti ageing medicine. She has extensive experience in performing non-surgical cosmetic procedures using injectable medicine, with an artistic evaluation of the face complimenting her knowledge of facial anatomy. Her special interest is in dermal fillers and injectables. Dr Jing is experienced at treating the asian face with injectables, she has expertise in the following treatments: dermal filler for forehead, nose, cheeks, tear troughs, chin, and also face slimming techniques. Dr Wang is enthusiastic in training the new generation of doctors. She is a conjoint lecturer at the University of New South Wales medical school. Dr Wang also regularly present on SBS radio on medical topics and health prevention. She is fluent in English and Chinese. Dr Nik graduated from the University of Manchester, UK in 2007. After completing GP training in the UK and higher education in aesthetic medicine (PG Cert Med aesthetics with distinction at St.Barts, London), he is now practicing general practice, skin cancer medicine and cosmetic procedures on the Central Coast, NSW, Australia. Having started medical aesthetics over 7 years ago he has a wealth of knowledge in the art and science of anti ageing and non surgical cosmetic procedures such as anti-wrinkle injections, dermal fillers, long and short PDO threads, chemical peels, PRP and cosmeceutical skin care. Dr Nik is the senior clinical doctor at Dolce Vita Skin which is a state of the art skin clinic based in Erina, NSW. He is passionate about learning more regarding the advances in aesthetic medicine and regularly attends conferences in this field. Keren started working as a Scrub nurse in the operating theatres in 1996 where she developed an interest in Plastic Surgery. 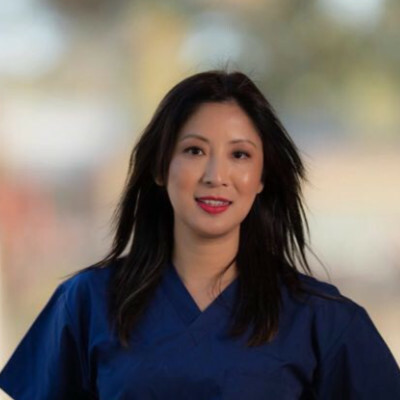 She progressed down this career path and began working for Plastic Surgeons as their surgical assistant, performing pre and post surgical care in their practice rooms. In 2010 Keren developed an interest the aesthetic industry and has since strived to develop and hone these skills. As well as working as an assistant for the plastic surgeons, she works as a cosmetic injector and as a Co-ordinator for Derma Medical. Kati attended Queensland University of Technology where she graduated with a Bachelor of Nursing in 2013. Since graduating, Kati has enjoyed working as a nurse in general practice and has gained excellent knowledge and skill in this area. Preventative skin care and cosmetic medicine are areas Kati has developed a strong interest for and she is extremely eager to further her education in. 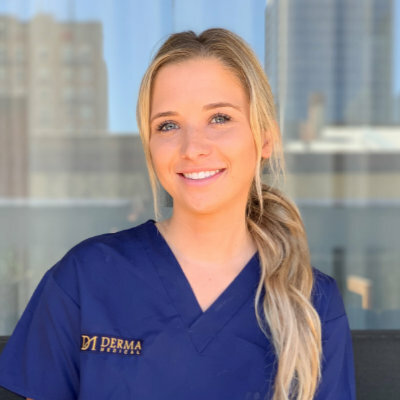 Kati is working alongside the Australian Derma Medical Team as a Clinical Coordinator, ensuring the Aesthetic training courses are carried-out efficiently through the organisation of models and providing support to the delegates and trainers. I am a currently registered nurse with over 20 years experience in medical, surgical, emergency, coronary care, and critical care areas. I have undertaken further training in cosmetic injectables and have worked as cosmetic injector at Australian skin clinic . My goal is to provide the very best in natural, gentle, effective and professional medical and beauty care. Alison holds a Bachelor of Nursing degree (RN), a Graduate Diploma of Cosmetic Nursing, and recently completed her Certificate of Cosmetic Tattooing. She has worked as a nurse for over 8 years as a scrub nurse in the operating theatre, and also as a practice nurse for 3 years and cosmetic injector for 1 year in a cosmetic, plastic and reconstructive surgery clinic. Alison is always driven to achieve success, with patient’s goals and end-results being her top priority! She is always happy to answer questions or arrange an appointment to ensure her patient’s concerns are addressed. 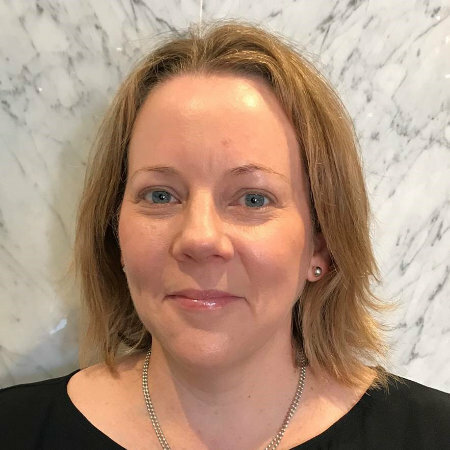 Alison is working with the Australian Derma Medical Team as a Clinical Coordinator, ensuring the training courses are carried out professionally. Emma comes with over 13 years experience in the medical industry. 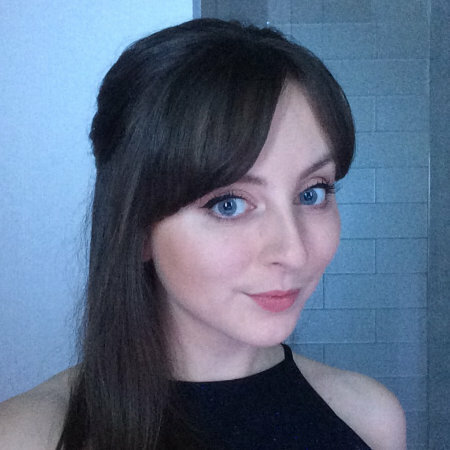 Starting her career in a large pharmaceutical company, Emma decided to follow her passion for the aesthetic industry and become a cosmetic nurse. Over this time Emma has worked for Plastic Surgeons, cosmetic clinics and aesthetic companies. Emma has a strong interest in the Aesthetic industry, with patient safety and education being key factors. Emma regularly attends conferences across Australia to keep up today on the industry. 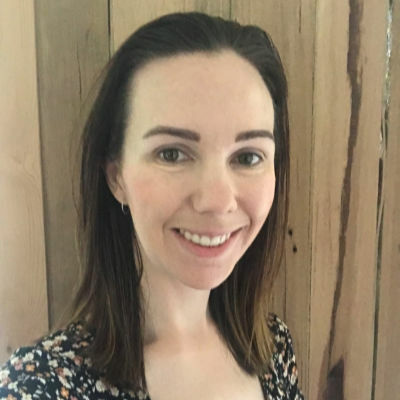 Emma is working with Derma Medical Team as a clinical coordinator, ensuring the training is carried out efficiently for clinics run in Sydney. Lea Williams is based in Perth. She studied BSc Science (registered nursing) at Curtin University. Lea works in a dental practice whilst finishing a postgraduate diploma at Notre Dame University. As a clinic coordinator for Derma Medical, Lea supports the trainers and delegates. 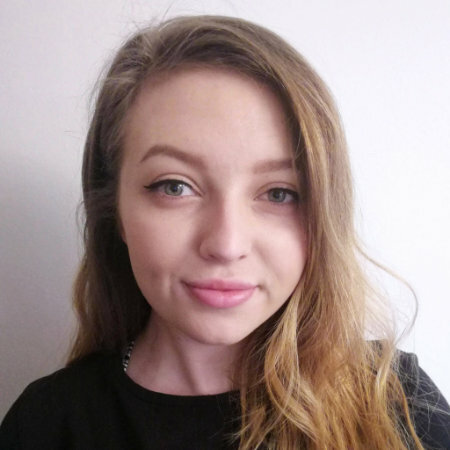 Lea is very passionate about the aesthetic field and will continue to pursue it alongside her career as a registered Midwife. Jessica is a registered nurse with 14 years of experience within the acute, community and cosmetic sectors. She has a keen interest in cosmetic nursing and couples this with her work in the hospital setting. Jessica is working towards broadening her skills and knowledge as a cosmetic nurse injector. Lauren has over 15 years experience in the medical industry with 12 of those as a Practice Manager for a well renowned Plastic & Cosmetic Surgeon. It is through this role that she has gained extensive knowledge of the cosmetic industry both surgical and non-surgical with a particular interest in cosmetic injectables. 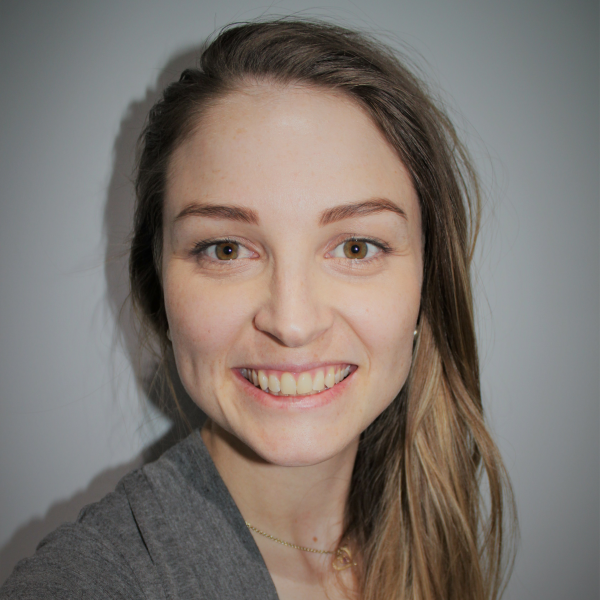 Lauren is part of the Australian Derma Medical Team as a Clinical Coordinator where she can apply her organisational skills and attention to detail in ensuring the training courses run efficiently and provide support to the delegates, models, and trainers.